Your wedding day should be a celebration of your love and your individuality. With this in mind, at The Grand Pittwater Function Centre at North Ryde RSL Community Club you are free to create your own menu designed by their team of professional chefs with the assistance of an experienced wedding co-ordinator. The Function Centre strives to make your function as special and as easy for you as possible and can provide the ideal venue and facilities for your special day. 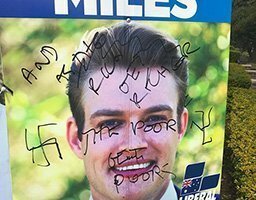 The Centre says it has “one of Sydney’s best value wedding packages” with chair covers, DJ, floral centerpieces and candelabras all included. Guests can enjoy pre-dinner drinks and canapŽs on their private balcony prior to the couple’s arrival, then be treated to a lavish banquet or buffet. 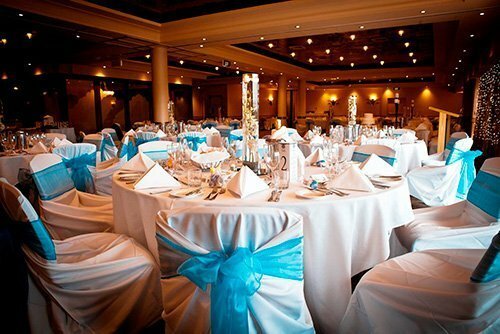 The versatile function room can cater from 20 to 180 guests and the club’s professional staff can arrange a floor plan to suit your requirements. The subtle ambiance created by the warm colours and natural lighting together with the convenience of location and technical facilities will make your function one to remember. The huge fold-away glass front opening to your very own private patio adds the final touch. Complimented by first class service, your occasion, be it a wedding, cocktail party, or product launch, will be catered for in a very special way. There’s ample free parking onsite. Inquiries 9870 5713. 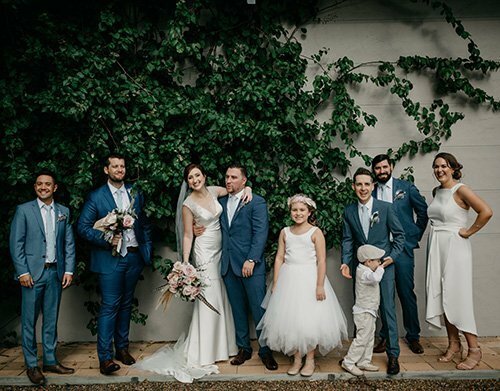 Top Ryde’s highly regarded Madeca Hair, Skin & Body is offering an outstanding range of bridal services that will ensure brides, bridesmaids, mums and flower girls will look and feel a million dollars on the wedding day. The services include exclusive hair and make up packages with a special offer of an in studio trial of hair and make up for only $100. 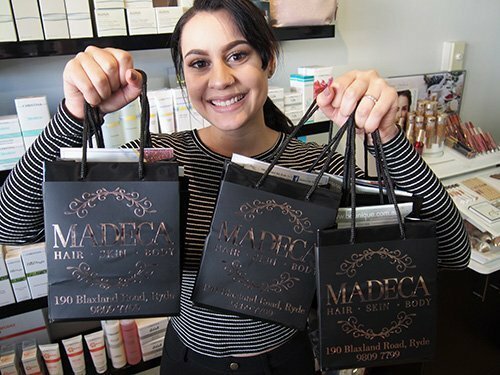 “Madeca Hair Skin and Body provides brides with professional hair and make up for their wedding day,” Madeca Business Manager Natalia Botrous said. Madeca Hair, Skin and Body has earned a reputation as a one stop shop that offers every type of beauty service “from head to toe” which includes facials, hair styling, facials, laser hair removal and even tattoo removals. “We even have packages for pre-bridal celebrations such as hen’s nights and bridal photo shoots and a very special offer on the morning of the wedding day itself,” Natalia said. Madeca can even provide false lashes, hair padding and artristic styling. “Laser treatment is a big thing at the moment and our laser treatment is fast, painless and effortless and we even have a treatment that helps to reduce pigmentation. Madeca is open Tuesdays from 9am to 4.30pm; Wednesdays and Thursdays 9.30am to 9pm; Friday 9am to 4pm and Saturday 8am to 4.30pm. HAVING helped brides and grooms-to-be plan their perfect day for over nine years, Event Manager Erin Kemmis had a head start on most brides when it came to planning her own wedding. She tied the knot earlier this year in the stunning Hunter Valley with the ceremony, followed by an intimate reception for 70, all at one location – a vineyard. 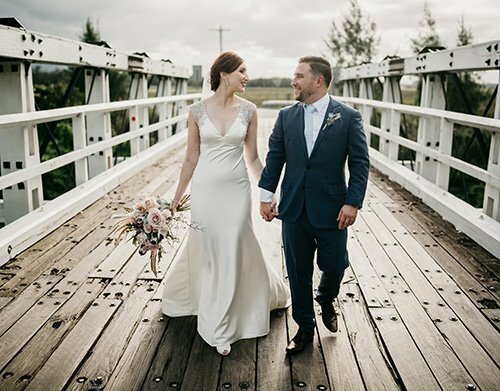 “We chose our venue for the same reasons many of my clients choose my venue – Ryde-Parramatta Golf Club – the availability of ceremony, reception, as well as an array of gorgeous photo opportunities – all on site,” said Erin. So what other tips does an award-winning Event Manager suggest for the perfect day? “Schedule more time than you think you need – always. Learn to delegate – that was a tough one for me! And focus on what is really important to you both. It’s easy to get swept away by flashy images, but everyone has a budget to work within – you can always achieve the look you’re after, if you’re clever about how you use that budget,” she revealed. 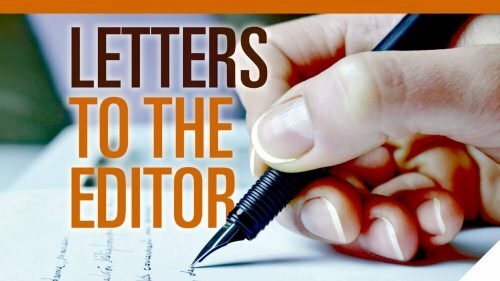 It appears Erin thrives on the challenge of helping her clients bring their dream day to fruition, evidenced by the fve star Easy Weddings and Facebook reviews. Thinking outside the box is part of the reason Erin and her team at Ryde-Parramatta Golf Club have established such a solid reputation for weddings and events, without sacrificing quality and personal attention. Getting married? 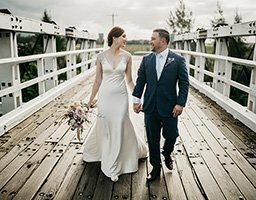 Ryde-Parramatta Golf Club is offering TWT readers an exclusive deal for new 2018 and 2019 wedding bookings. For more information, see the advertisement on this page or phone the Club on 9874 1204. 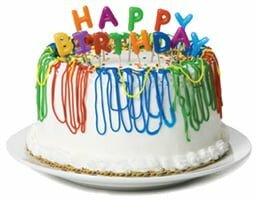 We are 96 Years Young!